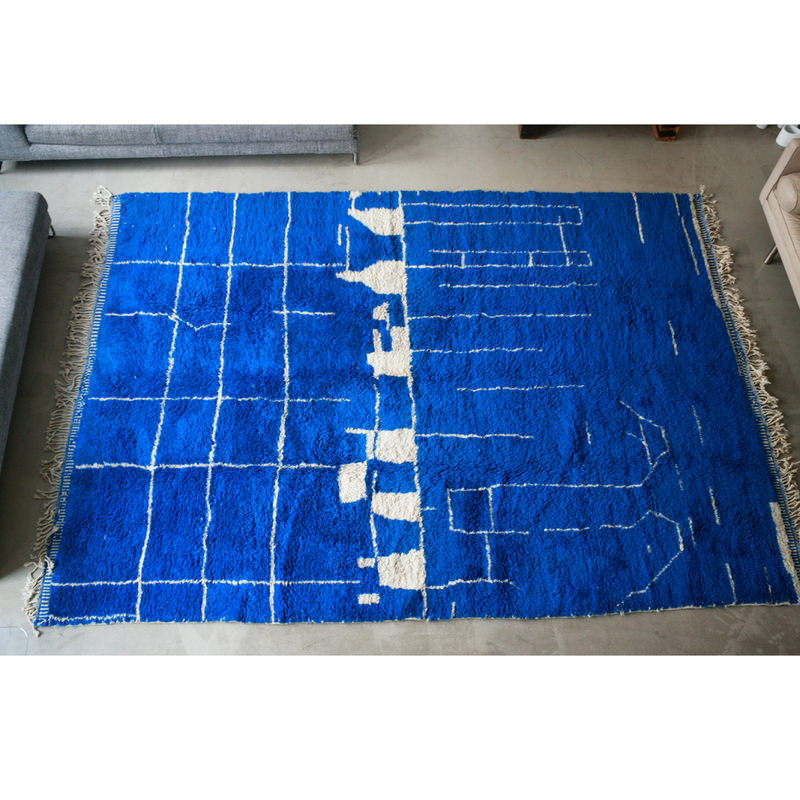 Large hand-knotted vintage Moroccan rug with an abstract design on a cobalt blue field. 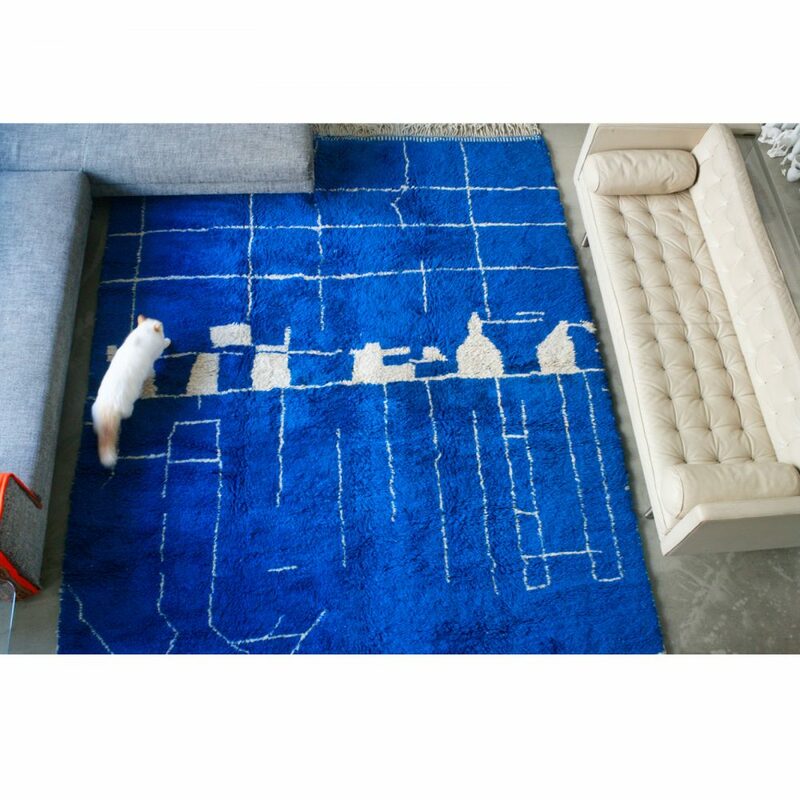 Infuse your space with this intense cobalt blue Moroccan rug. 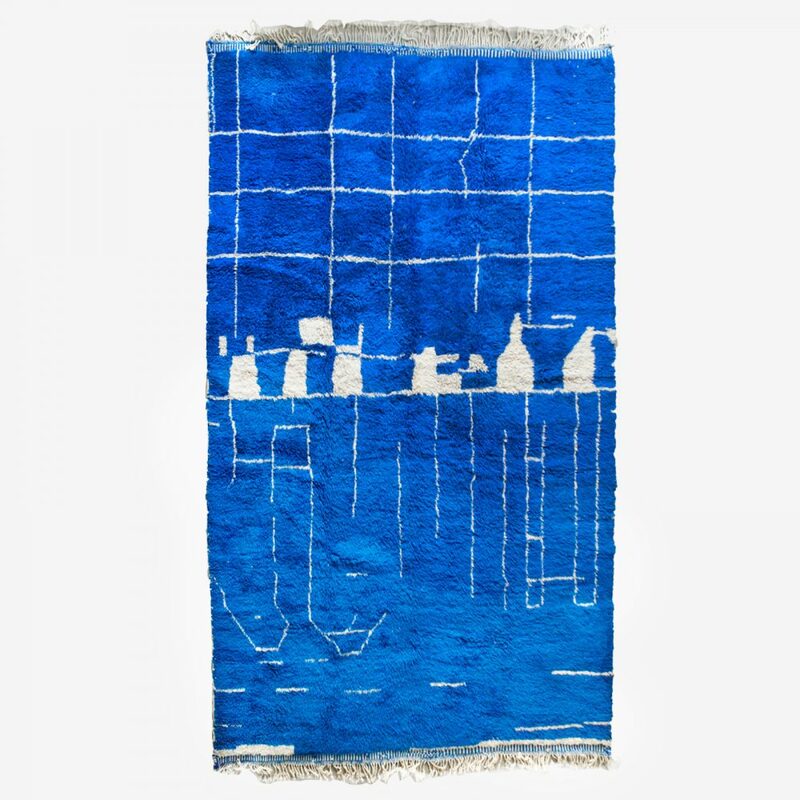 Saturated in an extraordinary palette of blue, this Moroccan style rug showcases true simplistic style with a punch of color. The asymmetrical lines in this awe-inspiring composition create something modern and daring. 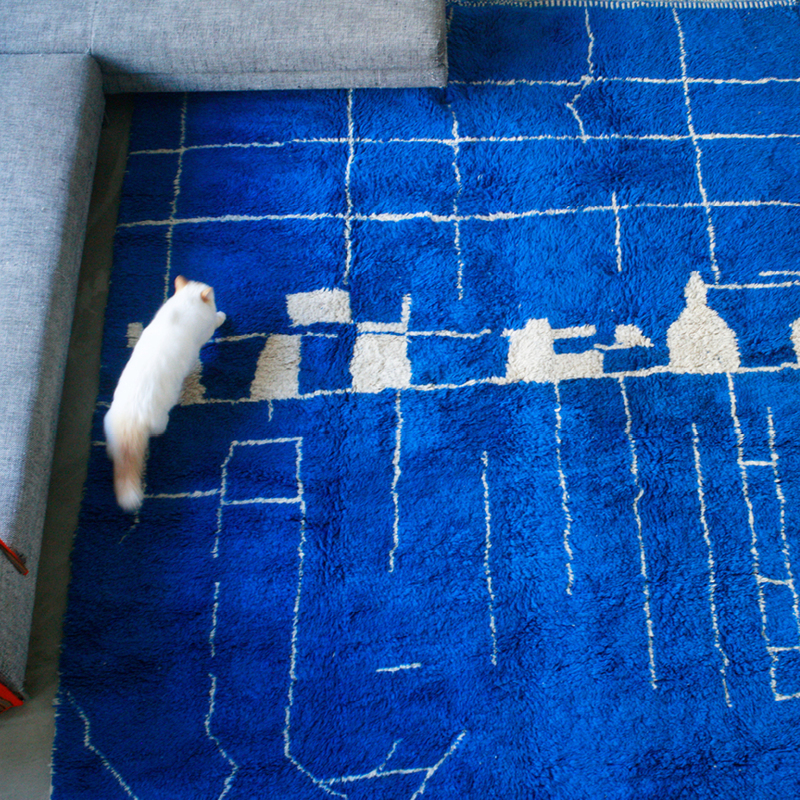 It is this combination of Minimalist utility and magical symbolism that gives the Moroccan style carpets and rugs their unique appeal. In the 1930s Le Corbusier, Alvar Alto, Charles and Ray Eames started incorporating the plush and soft Moroccan rugs into interior spaces as a counterbalance to their sleekly designed leather and chrome furniture. The mid to late 20th century has brought about a renewed appreciation for Mid-Century Modernism. Hand-knotted heavy wool. Made in Morocco. W 300 cm. L 350 cm.